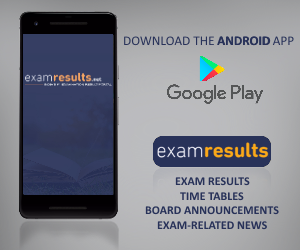 Get APOSS SSC 10th Results, APOSS Intermediate Results 2018 online and via SMS. The APOSS SSC 10th results and APOSS Intermediate results 2018 are expected in the month of June. April 05, 2018: The Andhra Pradesh Open School Society (APOSS) exams are held twice a year in April and in October. It can be expected from the last year trend that the APOSS Inter and APOSS SSC Results for exams to be held in April, 2018 will be released around June 2018. The APOSS SSC exam were held from 20-30 April, 2018 and the APOSS Inter exams were also held from 20-30 April, 2018. Every year more than 1.5 lakhs candidates appear for the APOSS Inter and SSC exams conducted by the Open School Society. Keep visiting this page for latest updates on APOSS Results. How to Check APOSS Intermediate, SSC Results 2018? Where to Check APOSS Intermediate (Inter) and Secondary School Result 2018? A.P. Open School Society was established as an autonomous society registered under the Andhra Pradesh Public Societies Act on 20th of February 1991 and inaugurated on the 17th of March 1991. The main objectives of APOSS, at the time of its inception have been to provide pre-elementary Education through Open and Distance Learning (ODL) mode to School drop-outs and those missing Upper Primary stage of education and to provide continuing education for adult neo-literates, working men and women to reinforce their functional literacy.